Only 2% of the population can solve this math problem and it's driving the internet crazy. 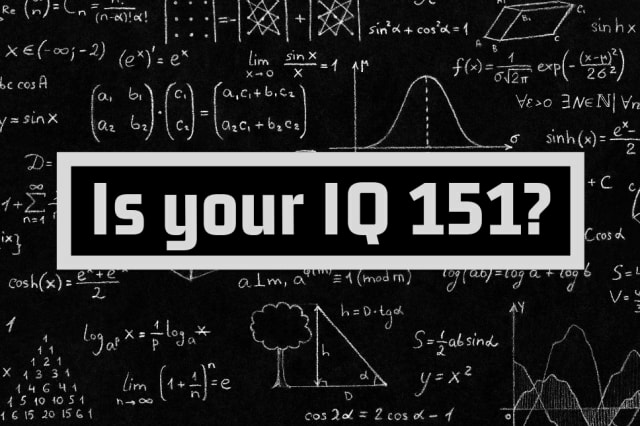 Your IQ is 151 or higher. You’re a creative thinker. You're curious and logical. You have the vigor to roll with the punches, so you’re always prepared for things to change abruptly. This often calls for out-of-the-box thinking. You always persist in driving toward what you believe to be in the best interest of things, and you don’t give up easily when convinced you’re on the right track. Keep up the good work! We gave this test to 250 American college students and only 4 got it right. Below is the explanation. If there are n people at a party, the first guy will have (n-1) handshakes. The second guy will have (n-2) handshakes, since the handshake with the first one has already been counted for. Similarly, the last person has no one to shake hands with, since all handshakes by him were already counted for. THERE WERE 12 PEOPLE AT THE PARTY. The correct answer is 12.